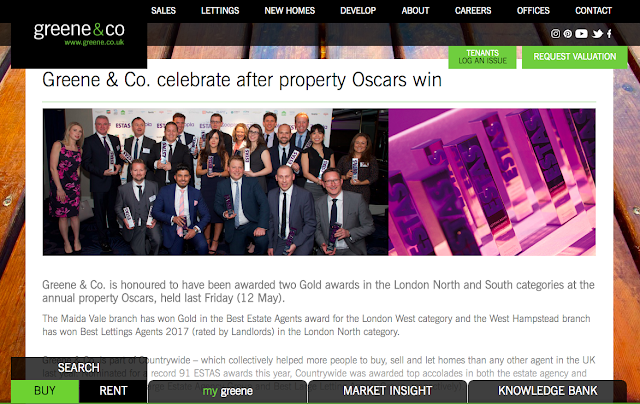 HelpHound Blog: Congratulations to Greene & Co! ...but regular readers won't surprised to hear that. With Greene & Co's commitment to customer service and reviews we are mildly surprised they did not win more! Congratulations to Greene & Co, we are proud of what you have achieved since you joined HelpHound (here's the 'before'!). A business can make itself look good with handfuls of reviews, even dozens, but to look this good with hundreds the business has to seriously deliver. 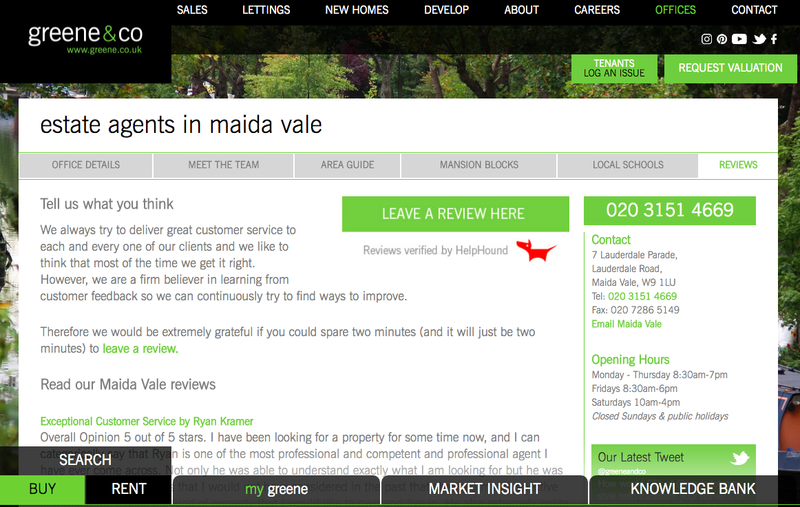 ...and that everyone who has a review published there is automatically invited to copy their review to Google.